Since our opening in 1994 we have continued to improve our centre. It has been a long way from the originally small dive centre to the largest and best equipped PADI 5 Star Instructor Development Resort in Tenerife. 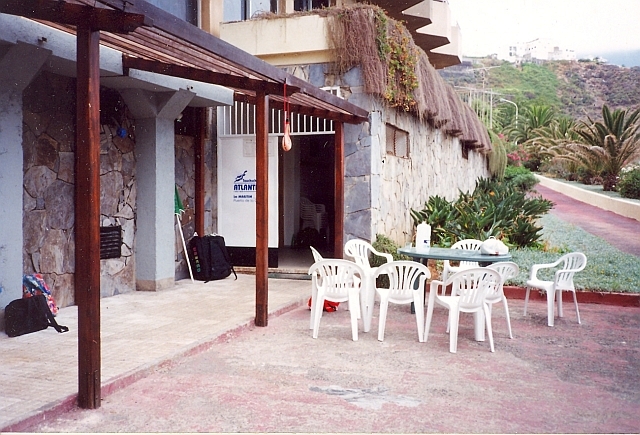 Other dive centres and instructors envy us for our premises. We provide several large seminar rooms with WIFI, beamer and large monitors for briefings and courses which may also be used by groups and clubs visiting us. For the equipment we have available a rinsing and drying area as well as seperate equipment rooms for dive centre equipment and private dive equipment of our clients. 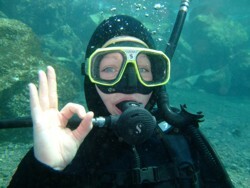 You will never have to carry scuba gears far if you dive with us. Our vehicles stop at our own yard infront of the rinsing and drying area. When loading cylinders and weights, it takes only a few steps from the compressor room to the parked vehicles. Our motto has always been, "As easy and secure as possible for our customers". For this we organised 25 years ago at first an authorisation to enter the harbor with our vehicles. With us there are also only very short distances at the harbor, because we stop with the vehicles directly at the boat mooring platform. 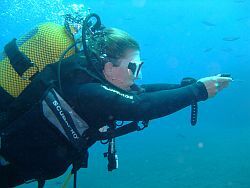 Also when it comes to courses we are ahead of all other dive centres in Tenerife. We do not push you directly into "cold water" into the ocean, like almost all other dive centres on this island, we start very easy and relaxed in the pool. 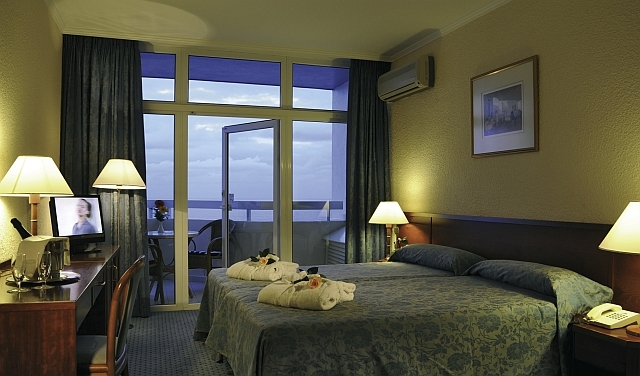 Therefor we have available the solar heated pool of the Hotel MARITIM**** that provides all year long 26°C water temperature. 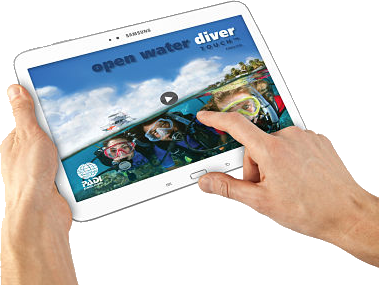 No other dive centre provides you with a heated pool during your courses. So here the skill training may last a bit longer and we may repeat skills again just to give you a better training. The water is warm and we take our time, quality is our highes principle.